Hello everyone! The second autumn month is ending, which means that this Saturday is the last run at “summer time”, and after that runday will switch to winter time. We hope that we will quickly adapt to these changes, and let rains and cold weather not keep us from having fun. But while the week is just beginning, we have prepared a new interview with organizer of runday Kramatorsk Yevgeny Mirgorodsky. What are your hobbies? What do you do for living? I’m a teacher, and I like psychology, history, philosophy, religion, Vedicism and photography. How did you found runday? How did you decide to organize a location in your city? Alyona Lashchenko contacted me, told about runday and offered to support this project. What difficulties did you overcome before the opening of the location and what difficulties are facing you now? I was absent on the opening day because I attended another event. I visited a second run, and I’m continuing to visit runs till now. The difficulty is, for example, the fact that none of the volunteers lives near the place of our runs, and can not keep things for runday at home. Therefore, I’m bringing all the necessary things from my home at the other part of the city. What is the most pleasant thing for you in organizing races? Volunteering, mark the time for runners, scan their codes. Unfortunately, I hadn’t run or volunteer in other locations yet. Once I ran like Tale Runner. My first 5 km I ran the Garden of Bernatsky (Kramatorsk) back in 1988! I have been running long distances for 3 years. Ran 7 half-marathons and has set many personal records. And I will be running my first half-marathon in Kramatorsk on September 22! I try to think about my own things. When you run long distances, you do not have to think about the finish and the distance, otherwise it will be very difficult to wait for the last meter, or even the last 100 meters. Who is the person who inspires you to do sports (friends, relatives, famous athletes, etc.)? I inspire myself, but from the men who run marathons I admire runners from Kenya, personally – Eliud Kipchoge. What is runday for you? 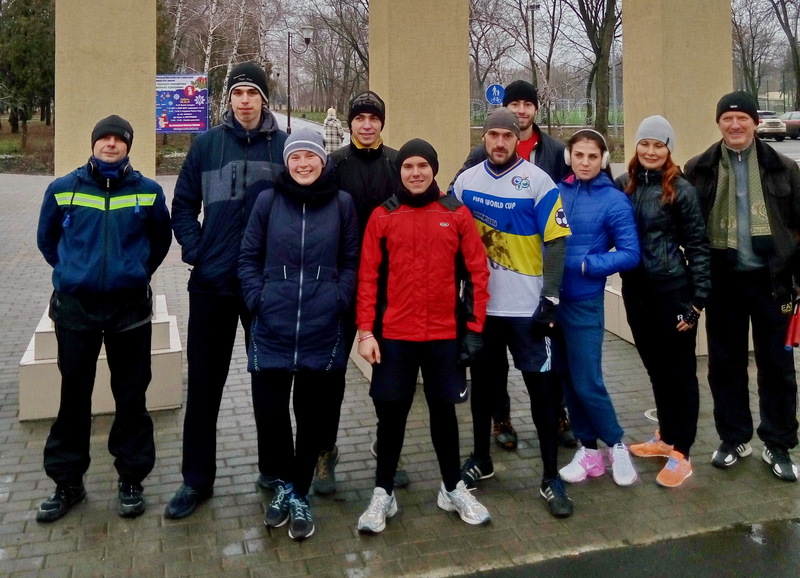 Additional running training, and a big help for Kramatorsk club of running lovers.